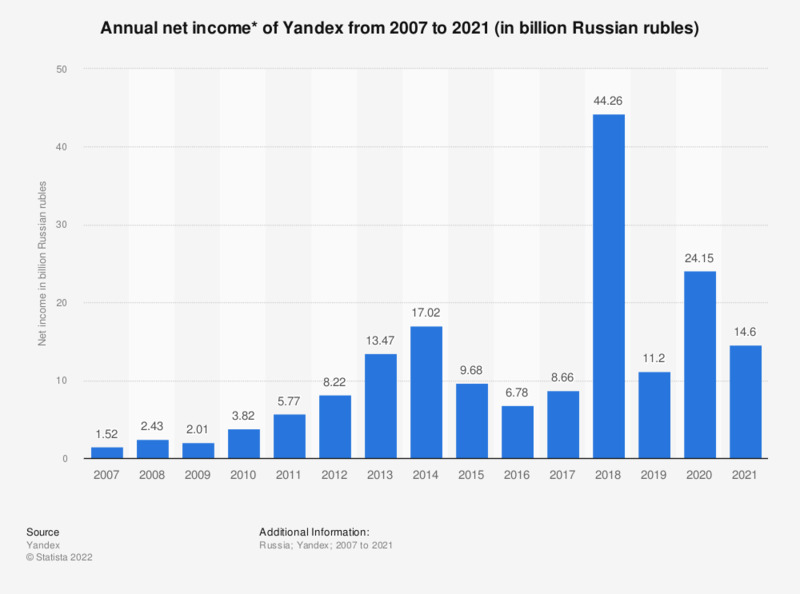 This statistic displays Yandex's net income from 2007 to 2018. In 2018, the Russian search engine's net income amounted to 45.86 billion Russian rubles. In the previous year, the Moscow-based company's net income came to 8.66 billion rubles.